My family was provided free tickets to the Tennessee Aquarium to facilitate this review. All opinions expressed here are my own! 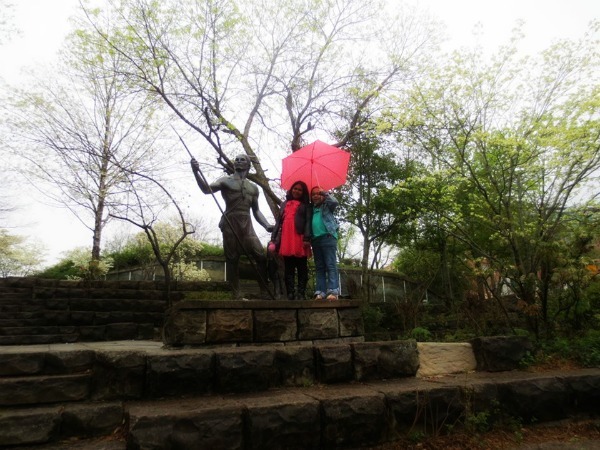 For spring break April 2015 we decided to venture beyond our usual staycation in Atlanta and head to Chattanooga Tennessee (America’s Scenic City) based on rave reviews from family and friends. On day one of our trip, we stopped at the Welcome Center to get pamphlets and info on the various attractions in town. I already had an itinerary in mind so this was just a supplement to see what else could be added to our trip or for future trips. After the Welcome Center we headed to the Tennessee Aquarium. The Tennessee Aquarium is the centerpiece of Downtown Chattanooga. Here are the top 10 reasons to visit! 1. The Tennessee Aquarium is a great value and offers an array of affordable add-ons. Compared to The Georgia Aquarium, The Tennessee Aquarium is more economical for families. Currently it’s $26.95 for adults, $16.95 for kids (age 3-12), and kids under 3 are free. Combine your Aquarium ticket with our other options and save with a combo price. Add an IMAX movie for just $6 per person. Or make it a double-feature for another $4! 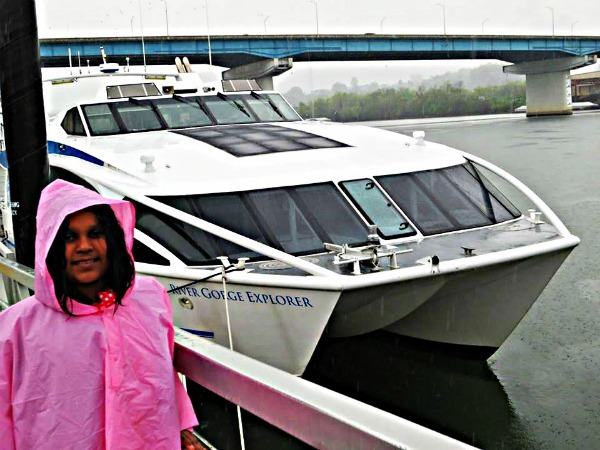 Add a River Gorge Explorer cruise for $27 per adult, $21 for 12 and under. There is a 10% military discount for active or retired members of the military with valid military ID. And if you’re local or plan to visit often, annual family memberships are available. There are even special hotel packages that include aquarium tickets, check out the website for more info! 2. The Tennessee Aquarium is housed in two separate buildings (River Journey and Ocean Journey) that allows break-time for young kids. River Journey opened in 1992, and Ocean Journey was added in 2005. There’s a very fascinating story of how the Aquarium came to be, heard on the River Gorge Explorer. Your admission ticket allows you access to both buildings, for one price. You don’t have to visit both buildings consecutively, but we did. You can visit one building then stop to have lunch, visit the nearby park, take a walk on the riverfront, play in the water area, see an IMAX movie, even take a nap at a nearby hotel, or take a tour on the River Gorge Explorer, a sightseeing boat. Then you can visit the second buildng. Since we already had reservations for a late River Gorge Explorer tour, we decided to visit both buildings consecutively, have lunch, and then board the tour. 3. River Journey is unique to anything you may find at another aquarium. It follows a drop of water on a 1,500 mile trek from Appalachian Highlands to the Gulf of Mexico, a journey made by water that falls in the Chattanooga area. Beginning as rain high in the Appalachian Mountains the water quickly combines into a sizable stream and waterfall. I love how it’s representative of Tennessee’s geography. 4. The Butterfly Garden, found in Ocean Journey, is truly a unique and interactive experience. It is a garden overflowing with exotic flowers, a sparkling, cascading waterfall and hundreds of jewel-hued, free-flying butterflies. 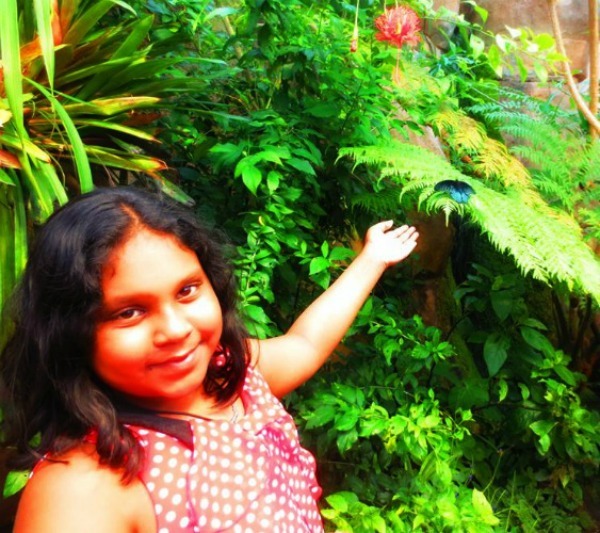 The butterflies found in the garden include species from Asia, Africa, South and Central America. This was one of our favorite exhibits and was made more memorable by butterflies landing on our body and clothing. 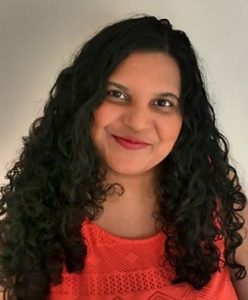 You can see butterflies flittering through the area, feasting on fruit, and flickering on outstretched hands, and other body parts. It was quite sweltering in there, so we didn’t stay long, but it is a definitely a don’t-miss. 5. 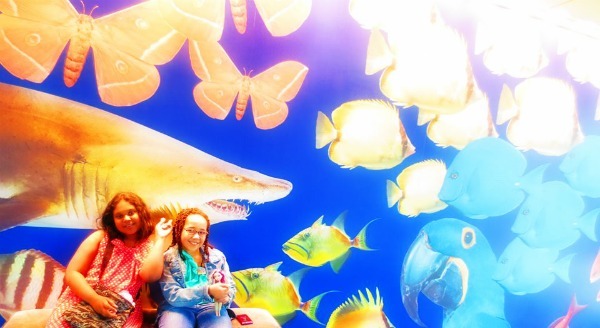 Animal Encounters are always one of our favorite things to experience at aquariums. 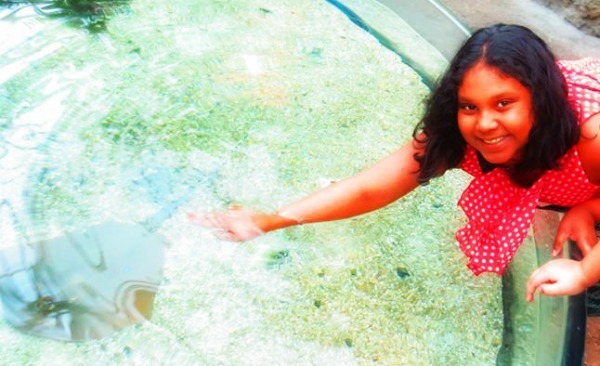 At the Tennessee Aquarium there are many opportunities to interact with animals, in addition to the Butterfly Garden. Stingray Bay (at Ocean Journey) is the Aquarium’s largest touch station, with more than 100 feet of shoreline. Guests can touch nearly several different stingray species, while Aquarium staff members share interesting facts about these animals. In Discovery Hall (at River Journey) you have the opportunity to touch various species of fish like the sturgeon from the Tennessee river. 6. The Living and Non-Living Art were a visual feast for my eyes. 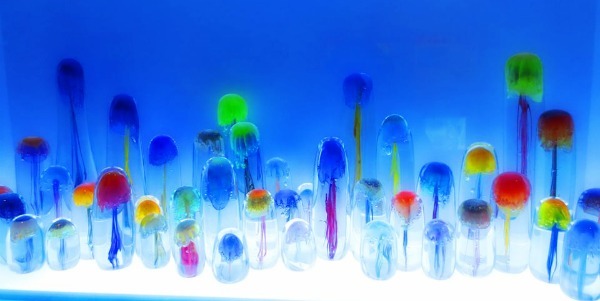 The Tennessee Aquarium and Hunter Museum of American Art have collaborated to bring Jellies: Living Art to Chattanooga. This special exhibition showcases six species of jellyfish, each distinct in appearance and among the most mysterious creatures on Earth, alongside breathtaking glass sculptures. There was beauty abound all around us. 7. The Outside Campus surrounding the Aquarium buildings is full of fun. There is a “stream” and “creek” running through the grounds. Kids can get their feet wet here and splash around a bit. When we visited, the water was not running, but we did go in cooler, rainy weather so that was to be expected. If you visit during the hotter months, consider bringing towels and a change of clothes. There are large art sculptures, ramps and stairs, and other ways to explore. 8. The Location of the Tennessee Aquarium makes it the ideal first stop of your trip in Chattanooga. There are several fantastic restaurants and other attractions within walking distance of the aquarium. 9. You can visit the two buildings in 3-4 hours (although some people are known to spend all day there, we took about 3.5 hours), so it makes it an ideal vacation destination. You won’t over-tire the kids, you still have time to hit the hotel pool, visit another attraction, or relax at Coolidge Park (which also has an outdoor water fountain for free summer fun). 10. The Tennessee Aquarium has many notable distinctions. In 2003 Southern Living readers anointed the town number 3 on its “best weekend vacation with kids in the Southeast” list. 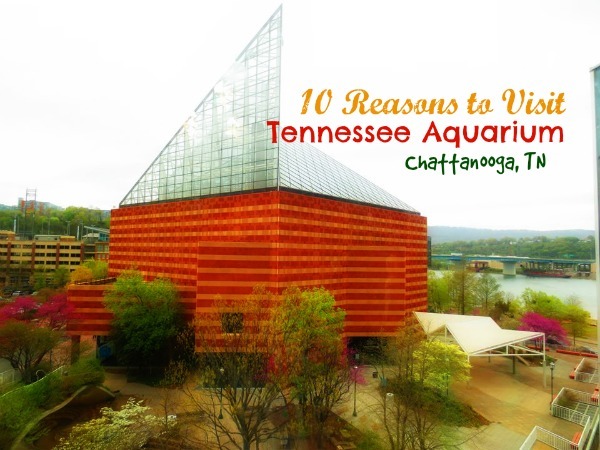 The Tennessee Aquarium is rated by locals and visitors alike as Chattanooga’s top attraction. 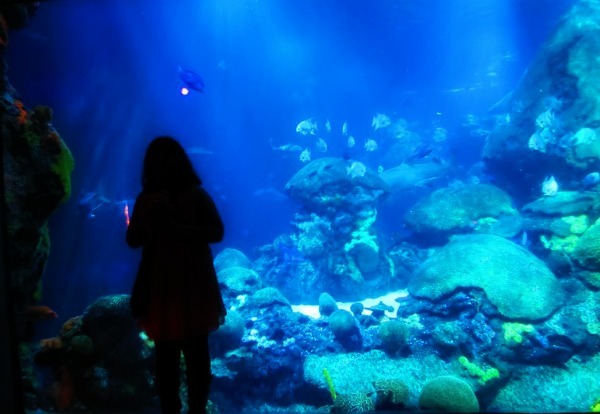 Have you ever visited the Tennessee Aquarium? What are your thoughts? « Roadtrip Tip: Stop at the Welcome Center! Thanks for all of the information! We have been looking for a vacation destination that is within driving distance for a weekend away. This sounds great. Another great post! We didn’t get to experience River Journey like we wanted to. I guess even more of a reason to go back!! 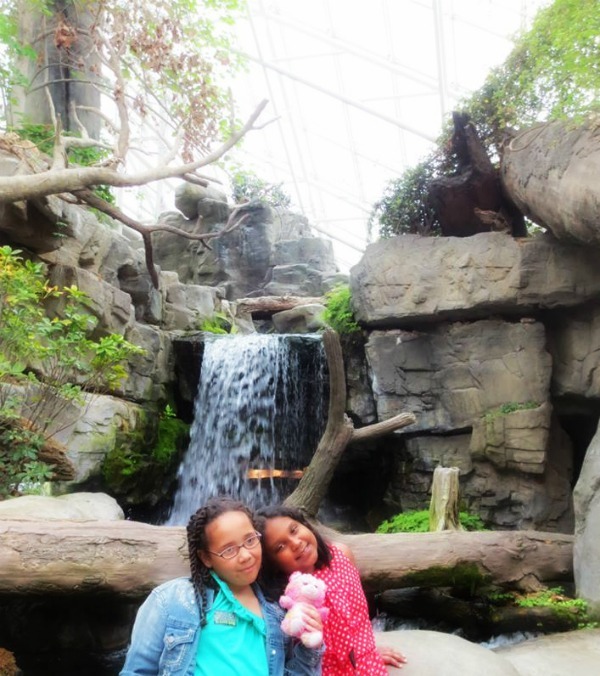 The butterfly garden was my fav part! Great post! I haven’t been to Chattanooga Aquarium in a while. This post makes me want to go back!